BNP on Sunday chalked out a seven-day programme, including staging a colourful rally in the capital, to celebrate the Independence Day. BNP secretary general Mirza Fakhrul Islam Alamgir announced the programmes at the party’s Nayapaltan central office after a joint meeting of the leaders of BNP and its associate bodies. As part of the programmes, he said, they will bring out an Independence Day rally from their Nayapaltan central office on March 27. Besides, he said, their party’s district, upazila and municipality units across the country will also take out rallies at their convenient time. Fakhrul said BNP senior leaders will place wreaths at the National Mausoleum in Savar in the morning on March 26. Later, they will place wreaths at the mazar of late BNP founder Ziaur Rahman at Sher-e-Banglanagar in the capital, marking the day. He said BNP will hoist national and party flags atop its offices, including the Nayapaltan central one, in the morning on the occasion. The party office will also be illuminated. 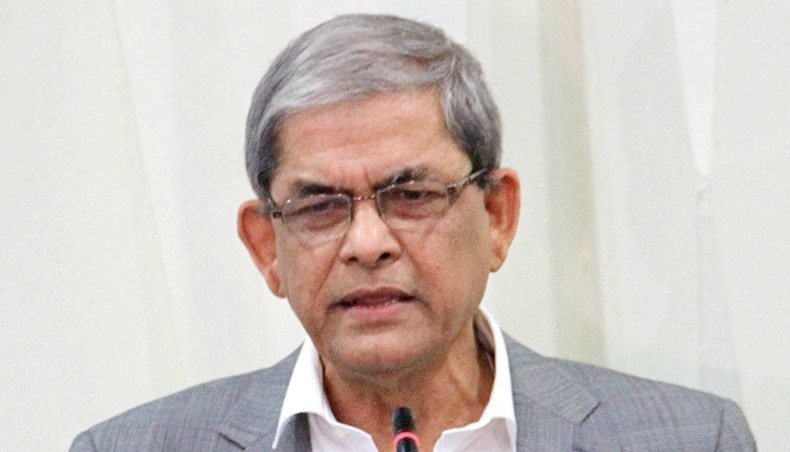 Fakhrul said their party will hold a discussion on March 25 either at the Institution of Engineers, Bangladesh or Mohanagar Natya Mancha on the occasion. BNP vice chairmen Shamsuzzaman Dudu, senior joint secretary general Ruhul Kabir Rizvi, joint secretaries general Syed Moazzem Hossain Alal, Khairul Kabir Khokon and other leaders of the party and its associate bodies took part in the meeting held with Fakhrul in the chair.